Please Note: This auction will run two weeks while I finish up my Commission work for 2016. I’ll be back on Monday, Dec 5 with… a SNOW scene? is falling snow they say. and gives Grandma a squeeze. There is hope for what might be. Happy talk of good old days. Great words. Thank you for posting. Enjoy your Thanksgiving. Happy Thanksgiving Peter. Thanks again for keeping Vermont alive for me. Great to see you too Michaela, I’m so glad you are enjoying the artwork. Thanks for all your support! 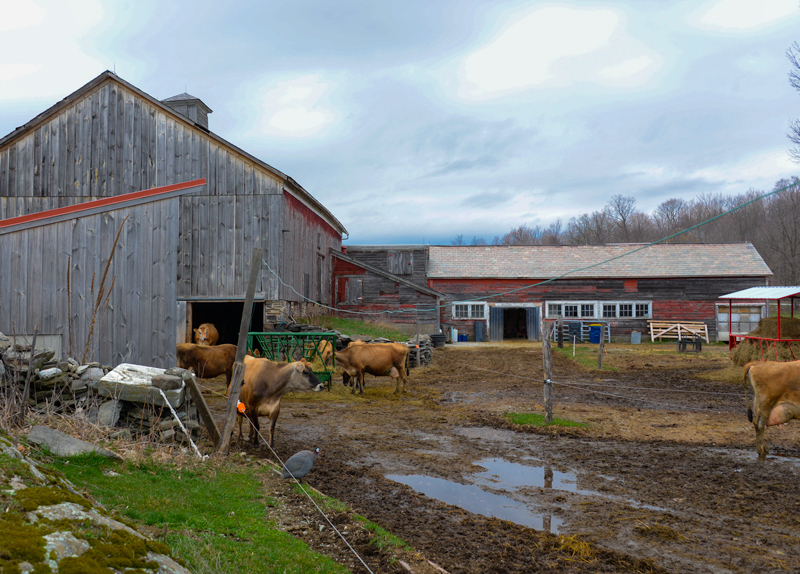 The rich tapestry of “greyed” (less intense) greens, blues, reds, and violets lend a pleasing peace and elegance to this typical Vermont barnyard scene. 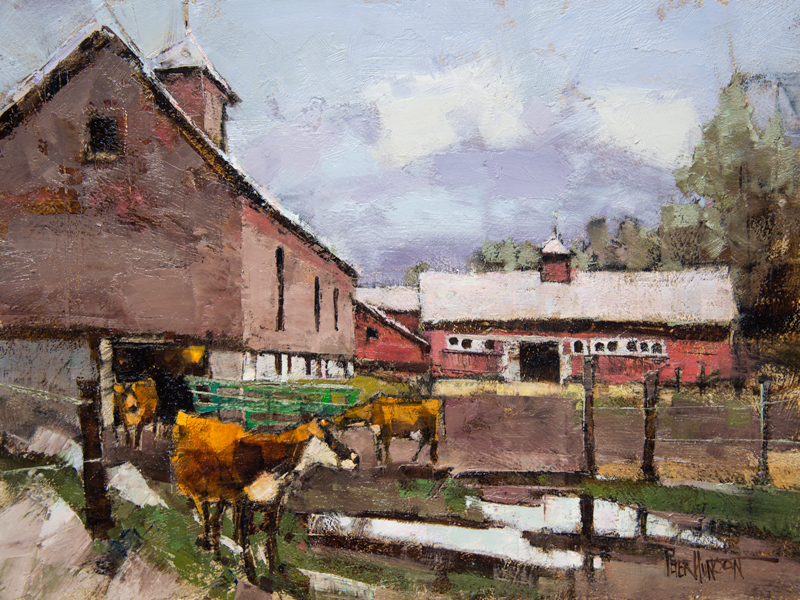 Also, the more pure strokes of yellow on the “girls” backs and in the grass line at the base of the distant barn both provide focus and, in conjunction with strategically placed fence posts, keep the eye moving through the painting. Definitely one of my favorites ye! Great job, Peter, and have a Happy Thanksgiving! You certainly have a great deal of compositional expertise Brian, and a way with words as well. This painting came together well for me too. Not all of them do, unfortunately, but that makes the winners that much sweeter by contrast. Thanks Brian! 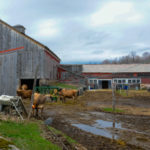 Thank you Cynthia, yes the farm is the real deal!